With Kontest Live Preview, you can customize the CSS code of your promotion and view your changes immediately. From the widget size and the position of elements, to the colours, shadows and images, you can modify everything you want to match the promotion perfectly with your brand’s identity! Editing the CSS code allows you to customize your competition in depth and to apply the graphic identity of your brand. Technical knowledge of CSS is required to use this feature. 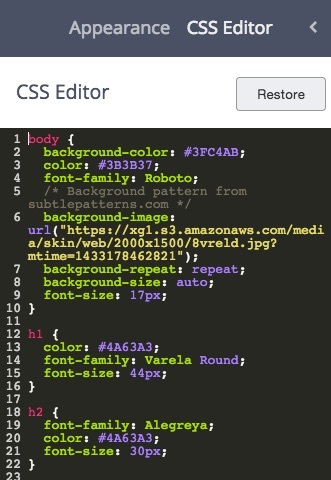 Customize the CSS code of your promotion and see changes immediately.